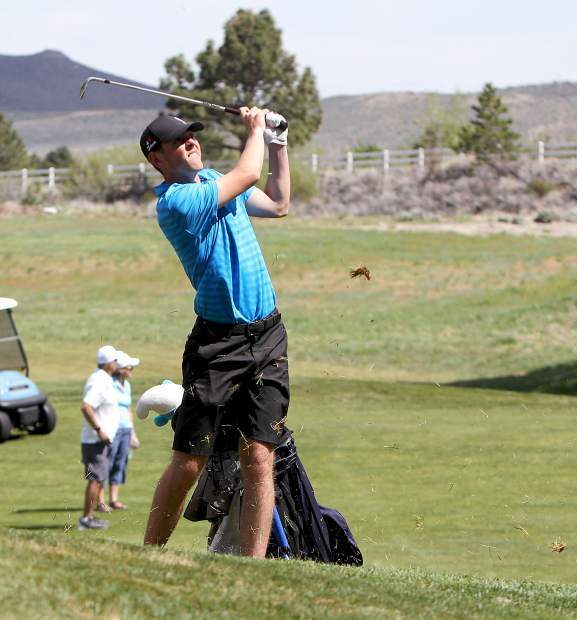 After capturing the Class 2A Northern League championship last week, North Tahoe’s golf team traveled to Boulder City to compete in this year’s Nevada Interscholastic Activities Association State Boys Golf Championship. The Lakers had a strong two days of play on the par-72 Boulder City Golf Course with junior Murphy Scott finishing as state runner-up and North Tahoe claiming third overall as a team. The players opened the tournament on Wednesday, May 16, and Scott took early control, shooting a 72 to hold a one-stroke lead over eventual tournament winner, The Meadows’ Kevin Inthachack. Scott would shoot a 75 the following day as Inthachack shot a tournament-low 71 to win this year’s individual state championship by three strokes. Inthachack finished the tournament at an even-par 144, while Scott carded a 147. The Lakers Connor Hipsley claimed a top-five finish, shooting a combined 157 to take fifth place. Hipsley shot a 76 on the second day, improving five strokes from his first round score. Incline’s Satchel Hirsh was next with a 161. As a team the Lakers combined to shoot a 698 for third place. The Meadows won the team state title with a 73-over-par 649, followed by Lake Mead with a 684.